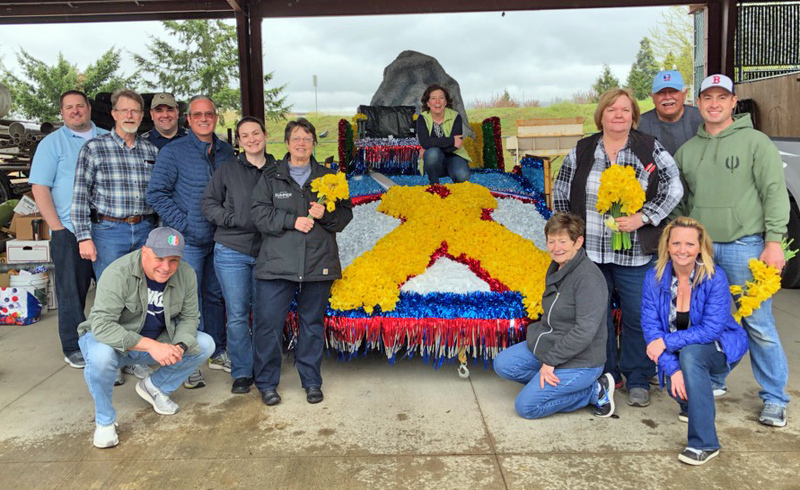 Sumner’s Community Float back home in Sumner. 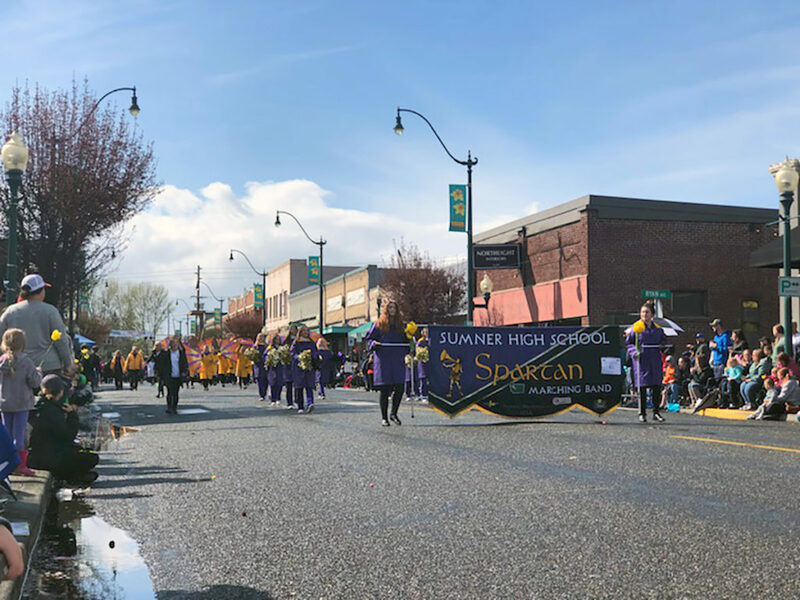 The Sumner High School Marching Band going down Main Street. 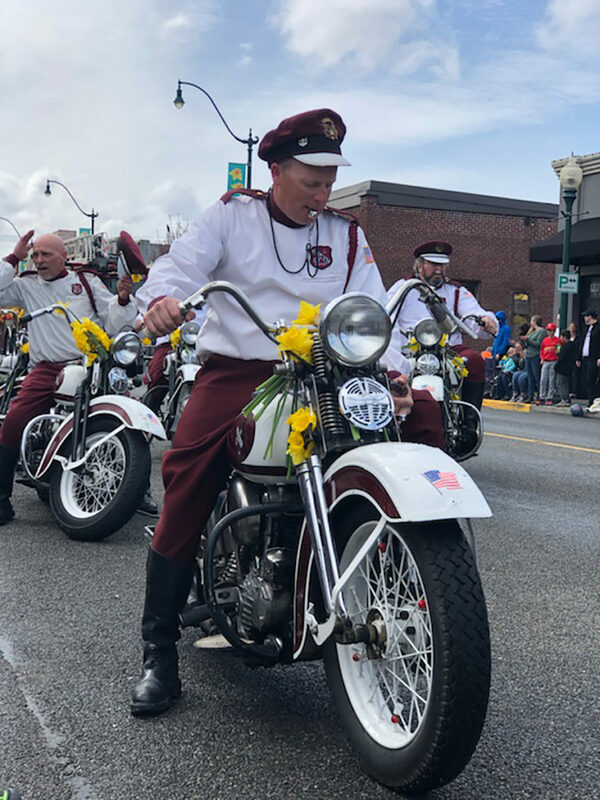 See, it’s always sunny for the parade in Sumner! 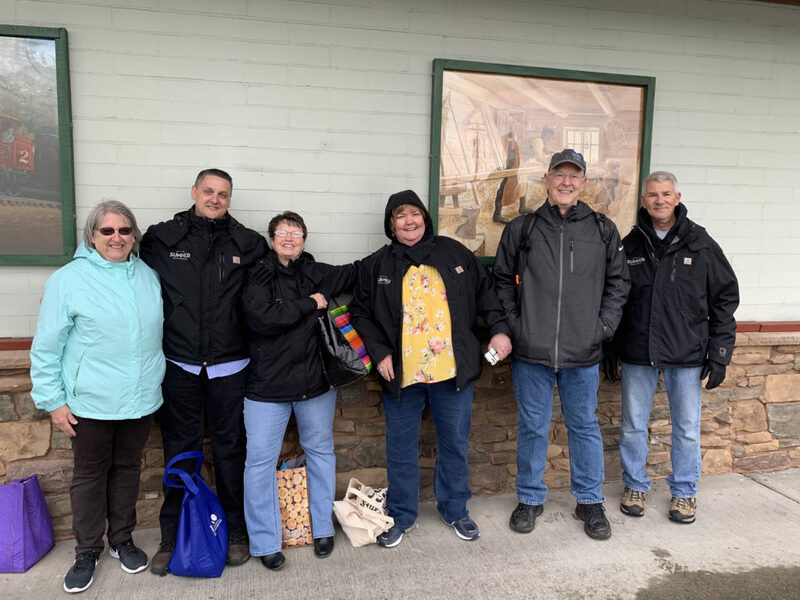 With the theme Heart of Service, The Old Cannery included a shout-out to the service of our police officers. 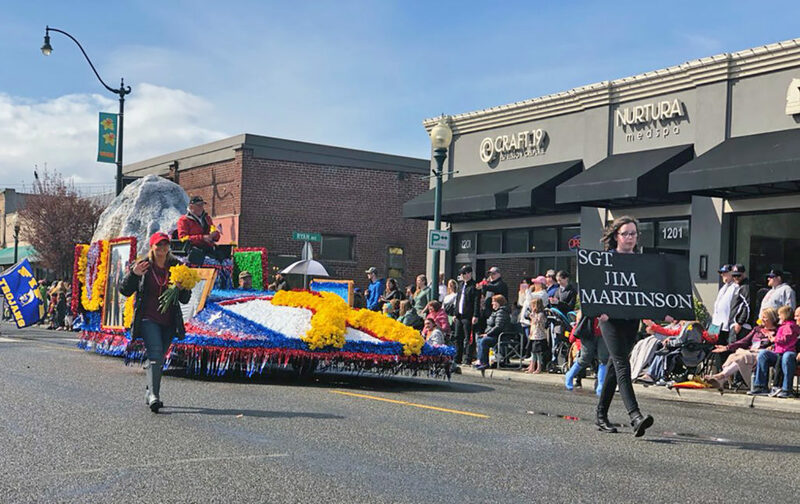 The Sumner Community Float celebrated the Heart of Service for our veterans, including Sumner’s own Sgt. 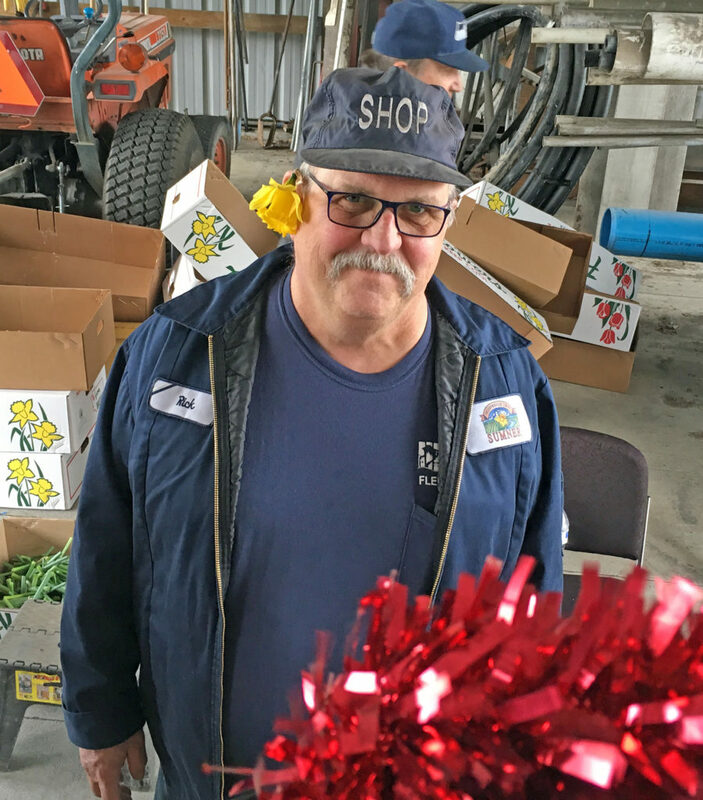 Jim Martinson. 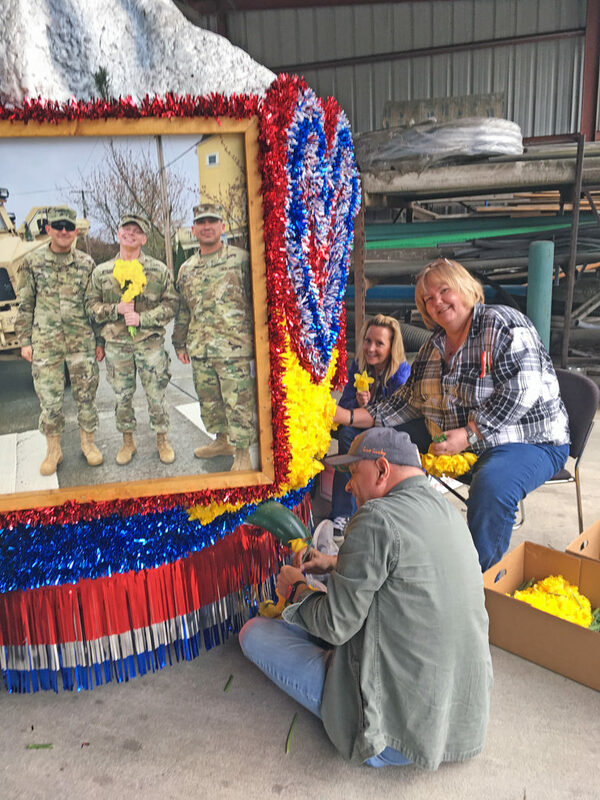 Volunteers stuffed 8,000 daffodils into the float the Friday before the parade. 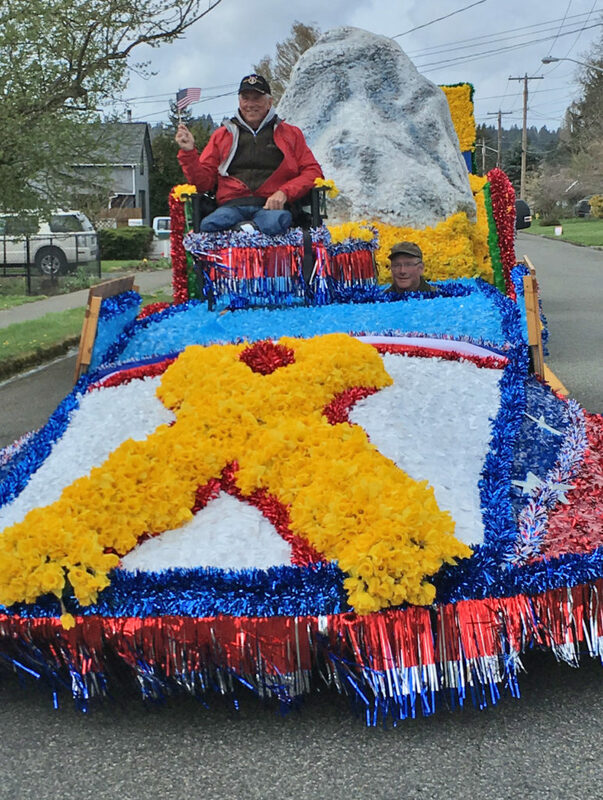 Sumner’s mechanic Rick helped keep the float running. 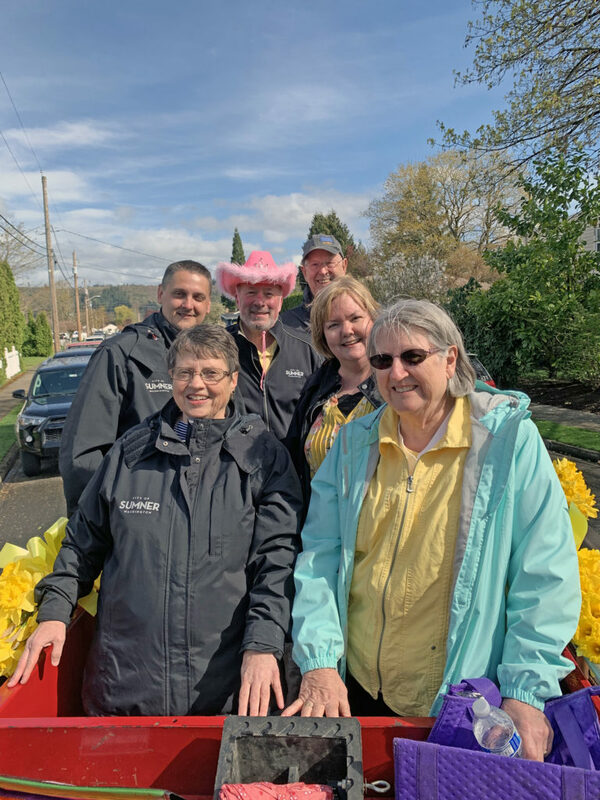 Councilmember Cindi Hochstatter and Sumner staff continue stuffing daffodils. 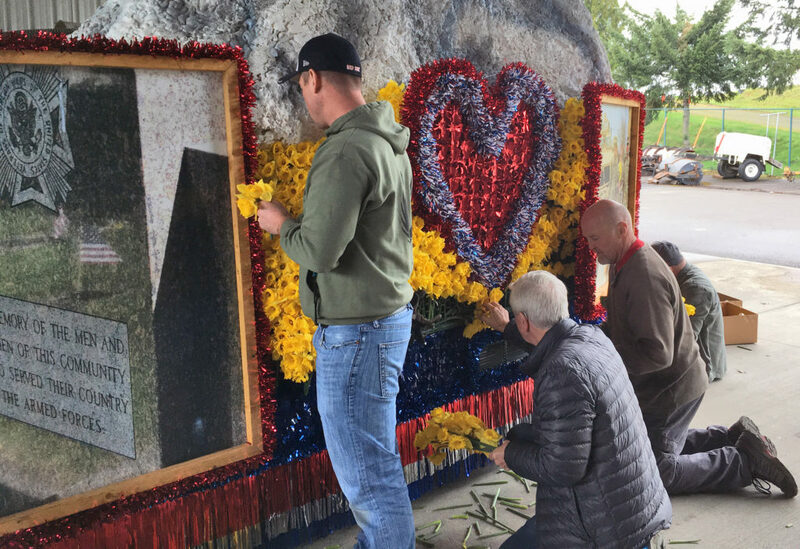 Officer Watson, Ben Bridges and Pat Clerget continue stuffing daffodils. 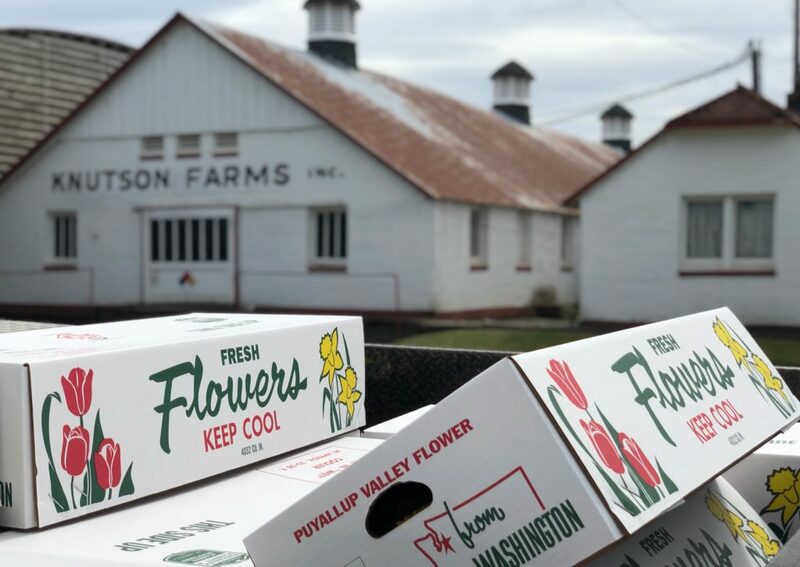 Picking up 8,000 daffodils just south of town at Sumner’s own Knutson Farms.